When we prepare the visual content for your works, you can be sure that the contexts are being passed on exactly as they are supposed to be. We provide for your Poster preparation and poster design needs by coming onboard with a range of experts in the field to make your thoughts come alive. Of course, with all the figures and illustrative artwork which will enhance the content of your manuscript, it becomes essential to make your manuscripts and excerpts look as attractive as possible. We have in-house illustrators and designers who take care of all your requirements regarding retouch, rework and remake your content driven works. To explain our services, we take up analysis of content and images of your work. This service involves analysing the previous images or content, contextually and adapt them to present the contemporary requirements. With new age comes new tastes for designs and artwork. Say, for example, the previous generation of Scholars, was mostly into vibrant and pop cultural designs which though relevant even today, are not so preferred. Perhaps, the requirements today look at a more minimalistic way of designing which shows just the important elements of the research. This is just an example of the change in the tastes that we’ve seen grow around us. We ensure that this change is properly reflected in the projects we take up. 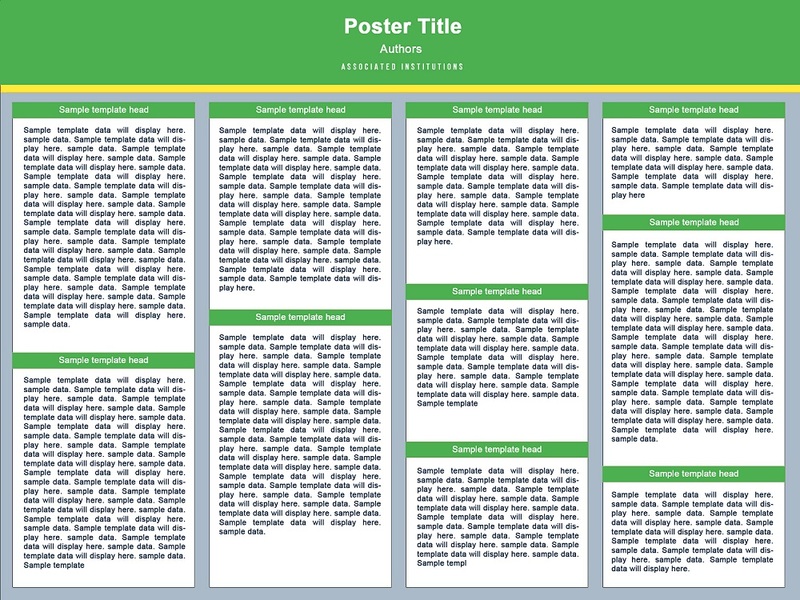 However, every author has his own needs and requirements, which he may want to project through the poster presentation. With that in mind, we ensure that we have a proper channel of communication with the author which allows us to design the works together. This collaborative way of doing things allows us to go beyond the usual confines of a poster presentation and bring out the brilliance both design wise and intellectually speaking. We make the presentations relevant to the present as well as the future requirements and needs. Be it the needs of bringing up charts, graphs or figures which explain the most complex of data in a highly expressive way. Mostly this takes up the ideation behind the making of an image, and produce a new poster which portrays the idea in a proper way, such that even the tiniest of details are defined. When we come to remaking services for the image requirements, we must look at the original works and present them again. We employ our resources to bring out the poster, in the same tune as the previous one, only presenting them in a more present ornamentation. The factor of relevance is something we need to ensure while also bringing innovation to scientific posters, research poster, conference poster and such many other requirements. Retouch services that we offer as part of editing and improving packages involve enhancing the figures and illustrations to breathe new life into them. Some anomalies or defects which might creep up within the drawing and sketches which are used in work, we assure to take care of them as well. Also, sometimes a small and apparently irrelevant data, like a wrong entry in a chart, or a different spelling for an entry, will create ripple effects which may end up making the biggest impacts in the presentation. It is because of this, that high level of scrutiny is required as we go ahead and bring out the best version possible. We provide all sorts of improving content and poster preparation with a specific focus on Image conversions, Maintaining Infographics, achieving synchronisation with all the elements of the work. These make the presentation stand out. We provide the most affordable poster preparation packages in the world in tandem with proprietary tools which bring life to your illustrations and artworks. Of course, in lot many ways, we are infusing the future of publishing to your works and making them validly timeless.